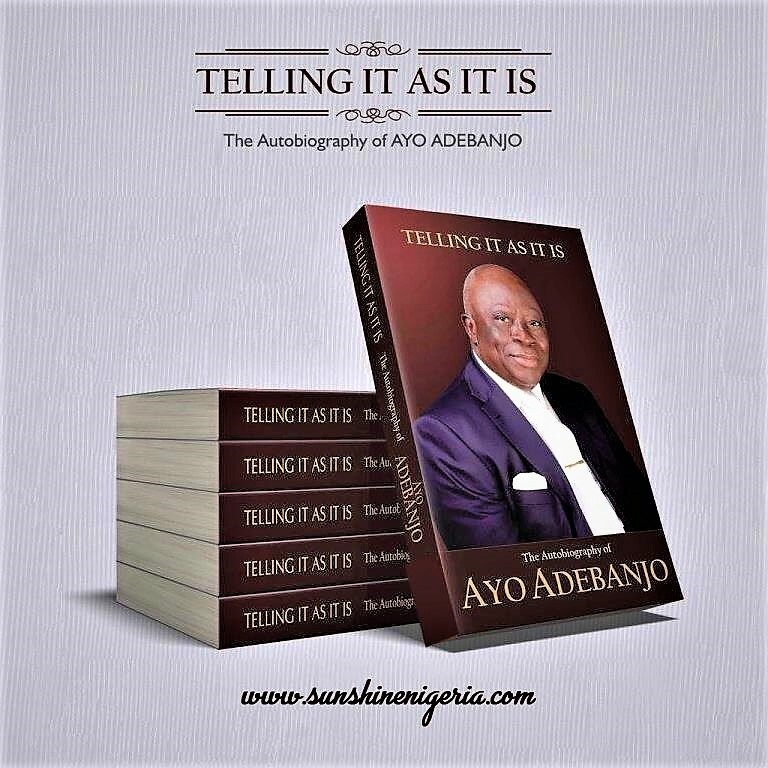 Ayo Adebanjo, lawyer, journalist, elder statesman and close associate of Nigerian nationalist and statesman, late Obafemi Awolowo just launched his autobiography titled, ‘Telling It As It Is’ at the Harbour Point, Victoria Island, Lagos. The launch event which also doubles as his 90th birthday celebration featured an inter-generational panel session focused on Nigeria’s history, leadership, and lessons for national development. Participants in the panel session include historian, Professor Banji Akintoye; the chief executive officer of RED, Adebola Williams; CEO/director of ‎Heritage Alliance, Pamela Braide; and Saadatu Hamu Aliyu, with an extensive discussion on the Nigerian history, leadership and lessons for national development. Giving the opening remark, former Commonwealth Secretary-General, Emeka Anyaoku stated that Nigeria can only succeed on true federal structure while adding that the author, Chief Adebanjo is a custodian and loyalist of Awolowo’s legacy. “Our country, Nigeria, was doing extremely well when it had a true federation of four regions with each region developing at its own pace with citizens feeling proud to belong to the Nigerian country. So, we do need in Nigeria, a true federal structure. This was one of the abiding thoughts that Chief Obafemi Awolowo advocated throughout his life,” said Anyaoku. Speaking at the event, Chief Adebanjo said that the book has been long overdue, as he appreciated all those he felt had contributed to his success in any capacity and making his dream a reality. Maintaining that Nigeria had no reason to be poor, the Afenifere chieftain lamented that the hardship experienced across the country can be traced to the inefficiencies of those in power, even as political parties are no longer accountable to the masses. 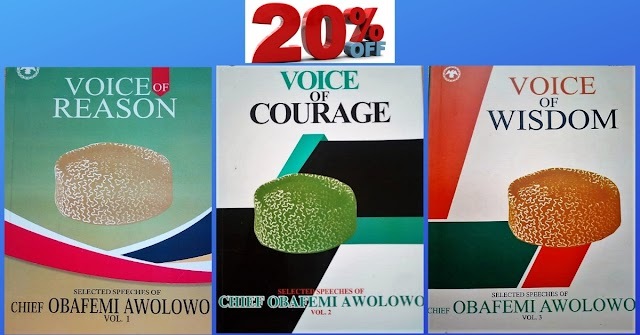 Commending the author for his patriotism, honesty and integrity, the Asiwaju of Lagos, Bola Ahmed Tinubu, described the author as a great leader while crediting his success as Lagos State governor to Chief Adebanjo. 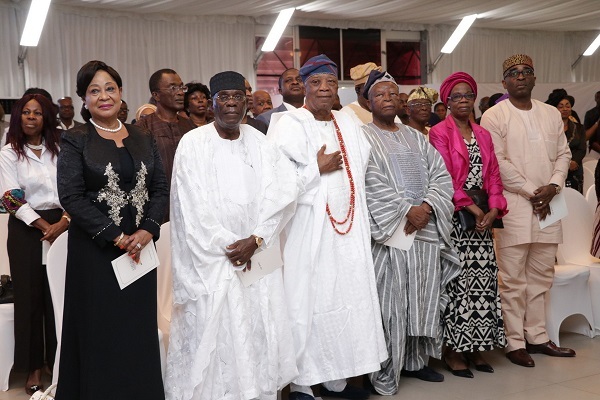 Other dignitaries at the event include the former governors of Ogun State, Olusegun Osoba and Gbenga Daniel; Professor Pat Utomi; the first lady of Ogun State, Olufunsho Amosun; foremost industrialist, Rasaq Okoya; President of the Lagos Chamber of Commerce, Nike Akande; Chairman, First Bank of Nigeria Plc., Ibukun Awosika; Kessington Adebutu, Pastor Tunde Bakare, Doyin Abiola among others. Chief Ayo Adebanjo, one of Nigeria’s nationalists, has been actively involved in politics since 1951 with the formation of the Action Group Youth Wing. He has dedicated his life to fighting for the establishment of true federalism, restructuring, and the holistic development of the nation.